Seven killed, three injured in collision between truck and minibus on Highway 90. 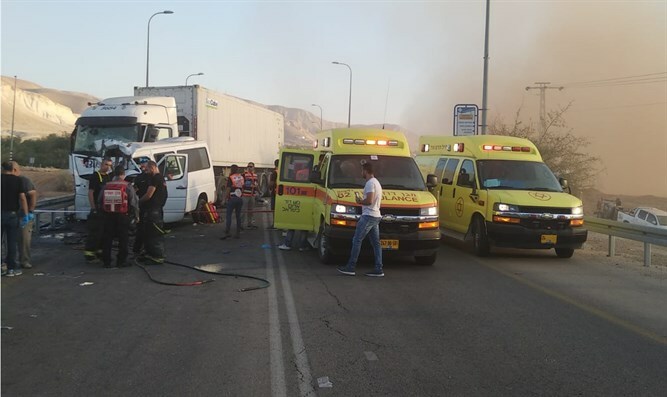 Seven Palestinian Arabs were killed on Sunday morning and four others were seriously injured when a minibus and a truck collided on Highway 90, near Petza’el in the Jordan Valley. One of the injured died later. Police have blocked the road to traffic in both directions in the wake of the accident.